I live in the country. The problem with little country towns and having to be discreet and ‘passing’ or laying low is that we just don’t have enough access to information and we feel isolated. We learn to rely on our friends, our drug-using peers, a lot out here. We help each other out with new fits, lifts, gear and general support. It's important to have someone to bounce things off, someone to be with so you're not using alone in case you drop. Recently I became friends with a woman who is a drug user activist and used to work as a peer educator in another state. My mind has been blown by what it did not know. A whole new world has opened up. I never even knew about drug user organisations or International Drug Users' Day. I am inspired and empowered to hear about paid peer educators working in NSPs and teaching things like ‘overdose prevention training’ and hep C awareness training and how to use wheel filters! Sure we have an NSP in the next big town — for me that is about a half hour drive and that’s fine. But it’s run by someone who isn’t a peer and who only has an academic understanding of drug use. She’s friendly enough but I don’t really have anything in common with her and so I don’t ever just “stop to chat”. Nor does she seem to have the right sort of knowledge to be of help to us. To give an example, a couple of months ago, the hospital received 1.2 red wheel filters instead of .2 blue bacterial ones. Instead of returning and re- ordering, they sold them in the vending machine as though they were able to be used in place of the blue ones. The red ones are not fine enough and do not filter out bacteria. I only know about the difference because my friend told me – otherwise I would have used them. The bureaucrats in the hospital system don’t know or care and because there is no peer educator who truly understands the importance of harm reduction in practice, there is no one to say “that’s not OK”. How amazing would it be if all NSPs in NSW were run by peers. We could get proper support and harm reduction messages by people who actually know enough and care enough to get it right. I would go as far as to say that we wouldn't have such a high number of people with a blood borne virus if NSPs had been run as peer services right from the beginning. Peer workers and peer services are certainly a vital plank in the harm reduction story. No-one can argue that peer education works and PeerLink is one example of how we empower local peers. We have successfully supervised some wonderful Peer Support Workers and people love coming into the NUAA NSP and experiencing the difference a peer service makes. 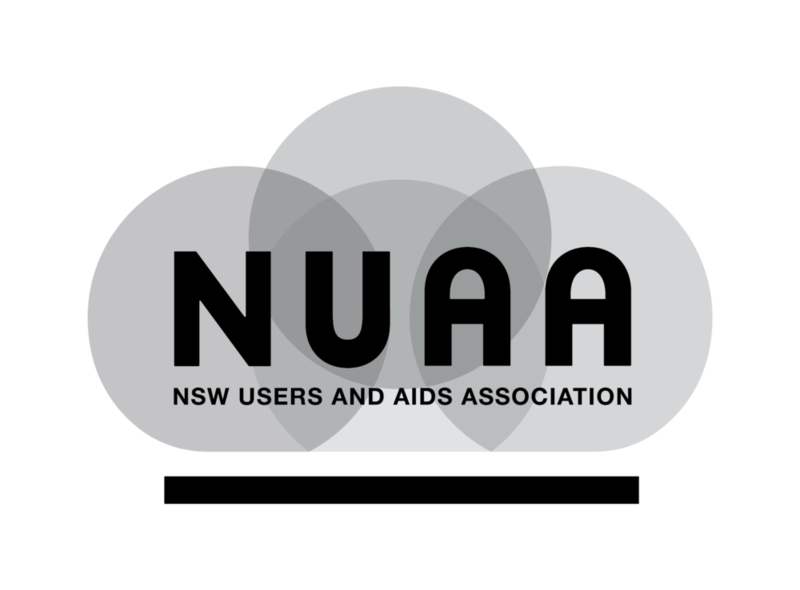 There is a lot of scope for NUAA to both take over services currently run by other organisations and to start some innovative services. Let's hope the funding ears are listening! Having said that, most harm reduction workers do an awesome job and we are grateful for their skills in delivering health services to people who use drugs throughout NSW. Many people with little first-hand experience of drug use have been our passionate partners. And don't assume that just because a worker is not an "out" user that they do not use or have drug use lurking in their past somewhere! Many people are not allowed to declare their drug use due to organisational concerns about boundaries but we don't have to scratch them too deeply to find "one of us"!